1. Go to the Dashboard of your site. 2. Now, Go to Dashboard >> Pages >> Add New Page. 3. Give a title of your choice. 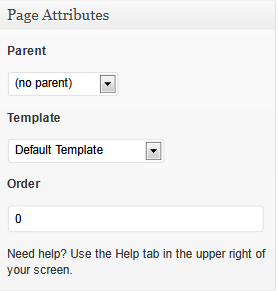 Now, you will see “Page Attribute” meta box in the right hand site of the page. 4. Now, select a Template from here.